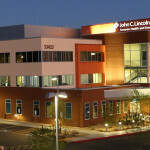 Located in Phoenix, Arizona, the John C. Lincoln North Mountain Hospital – a recognized Magnet hospital – provides a comprehensive range of specialty surgical services. In June, 2014, the hospital underwent two operating room renovations to further enhance their surgical capabilities. Included in the renovation was the need for new ceiling suspended surgical boom, lighting and monitor equipment. Stryker Corporation, a leading medical equipment provider was chosen to supply the boom and lighting equipment. To insure a seamless installation, Stryker looked to Healthcare Technology Corporation to partner with on this project. For this renovation, Healthcare Technology Corporation supplied and installed 4 of their direct bolt Series 200 mounting systems for use with Stryker’s Visum surgical light/flat panel monitor arms and 4 of their direct bolt Series 300 mounting systems for use with Stryker’s Flexis anesthesia and tandem equipment boom systems. 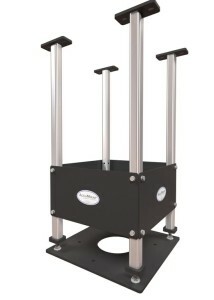 The Accu-Mount Support Systems were selected based on their modular design, ease of installation and compact arrangements to fit almost any application.